Manipal: Rankings for Manipal Academy of Higher Education (MAHE) is not a destination. It is a journey. The improvement that we do in the rankings year after year, talks not only about what we have done better, but also talks about what we have done better in comparison with other universities. That’s what ranking is all about,” said MAHE Vice Chancellor, Dr H. Vinod Bhat while addressing media persons about the deemed to be university’s rankings this year at Manipal. “World rankings are being done by different agencies. QS is one, Times Higher Education is another and Shanghai yet another. 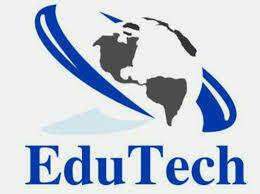 We go with QS and Times Higher Education because these two are the most widely accepted ranking agencies in the world”. He added; “The recent QS rankings, first the World in June, then Asia and followed by BRICS has not come as a surprise to me. We are the highest ranked private Indian university in the QS World Rankings, in the 701-750 band, and there is no other private Indian university better than that”. Giving details of the rankings, Dr Sandeep Shenoy, Director Quality and Compliance also Head Department of Commerce, MAHE said, “The University has moved up two places to 198 in the Quacquarelli Symonds University Rankings, Asia Region’s 2018 edition. In the domestic ranking, the University is placed 16th overall and third among the private Universities. Elaborating he said, “This is the ninth edition of this ranking and the largest yet, featuring 400 institutions from 17 countries. Over 600 institutions across the continent were evaluated and 450 provisionally ranked. Of them, 400 were included in the published tables. In this edition, the University performed among the top 47% in the QS Asia University Rankings. Considering there are approximately 11,900 Universities regionally, MAHE is one of the top 1.7% universities in Asia. The Faculty Student indicator, with a rank of 86 in the region, is the strongest parameter for MAHE. “As for the 2018 QS BRICS Region University Rankings, MAHE performed in the 119= rank range, which is among the top 31% in the QS BRICS Region University Rankings. Considering there are approximately 9,000 universities regionally, this makes MAHE one of the top 1.3% universities in BRICS. MAHE is placed second among private universities ranked in India,” Dr Sandeep said. The key indicators for the methodology used for the BRICS ranking are; Academic Reputation, Employer Reputation, and Faculty to Student Ratio, staff with PhD, Citations per paper, international faculty and international students. Also present at the media briefing were MAHE Registrar, Dr Narayan Sabhahit and Dr Director, Quality and Compliance, Dr Christopher Sudhakar.